IJsland gaat '100% reserve bankieren' onderzoeken - Ons Geld | Maak ons geld stabiel, dienstbaar en democratisch. Na het nieuws dat IJsland als een van de enige landen in de crisis al haar banken heeft genationaliseerd en hooggeplaatste personen uit het bankwezen heeft berecht, komt nu het nieuws, via onze zusterorganisatie Positive Money, dat de IJslandse regering gaat onderzoeken of het niet beter zou zijn fractioneel reserve bankieren te verbieden. Wij zijn het hier natuurlijk mee eens en zouden het liefst willen dat Nederland hetzelfde doet. Hieronder het originele bericht, in het Engels. Deadlines for submission was December 4th. Proposal No. 262 proposes the establishment of a committee to consider how in the current banking system the function of money creation can be separated from the function of lending. Such a separation would end the situation where most of Iceland’s money supply is created and allocated by the same private banks that were implicated in the financial crisis. We feel that it would be a serious oversight to ignore this issue in light of one of the worst financial crises in history, particularly given its effect on Iceland at the time of the crisis. However, the issue is not simply one of preventing future financial crises. The current system of privatized money creation also has impacts for debt, poverty, inequality, the business environment, and economic growth. Reforming money creation would have significant economic and social advantages. You can read the whole submission here. There were 12 submissions made, 9 of them positive letters (in English), 1 submission was slightly negative and 2 rather negative (from The Central Bank and the Icelandic Financial Services Association, which considered it ‘pointless’ to investigate the issue further (surprise surprise). All the recommendations can be seen here. Althing concludes that the minister of finance will form a committee of specialists to research how the separation of money creation and loan function of the banking system can be achieved by removing banks’ ability to create new deposits through lending. The committee shall complete its work by January 1st 2013 and the minister deliver a report to Althingi about the conclusions of the committee no later than one month after the committee completes its work. 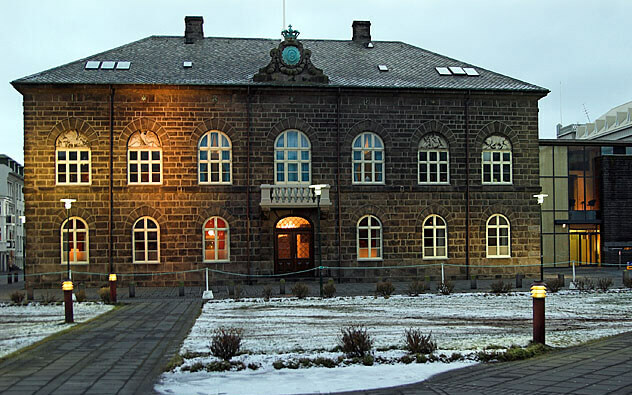 It is the opinion of the person introducing the proposal that adequate steps have not been taken to prevent another banking crisis in Iceland. It is important to take action to promote financial stability, in order to prevent further financial catastrophe such as the banking crisis in 2008. The current monetary system’s deposit may create the equivalent of money by lending of excess deposits. In fact, most of the money used in general transactions are electronic deposits which private banks have created with excess deposits. Money creation and bank lending must be separated by changing laws and only allow the Icelandic Central Bank to create money, whether the money is made of paper, metal or electronic form. With this amendment net interest income (interest income on loans in excess of interest expenditure on deposits) will be transferred by a large extent to the Central Bank, but banks have until now profitted received this profit. The separation will give the Central Bank more control over the money supply and prevent banks from creating asset bubbles with their lending activity. reduce public debt and – reduce the indebtedness of individuals, where money creation would no longer need to be based upon borrowings. If those statements are true it is the assessment of the person introducing the proposal that this is a opportunity for authorities to create great benefits for people with low cost. Therefore, it is important to take action soon and a committee of experts will be formed that review the IMF report, apply the assumptions implied on Icelandic society and assess whether such a path is possible, how best would be to implement this plan and any amendments are necessary in this purpose. It is proposed that the committee delivers its findings no later than the first January 2013 and the Minister returns a report on the findings no later than one month after the committee finishes its work. Dankzij OnsGeld is geldschepping bespreekbaar geworden. En doet de regering onderzoek naar verbetering van het geldstelsel. De roep om een geldstelsel in publieke hand klinkt steeds luider. Help ons het geldstelsel stabiel, democratisch, eerlijk en dienstbaar aan mens en planeet te maken. Steun OnsGeld, dit kan al met €1!